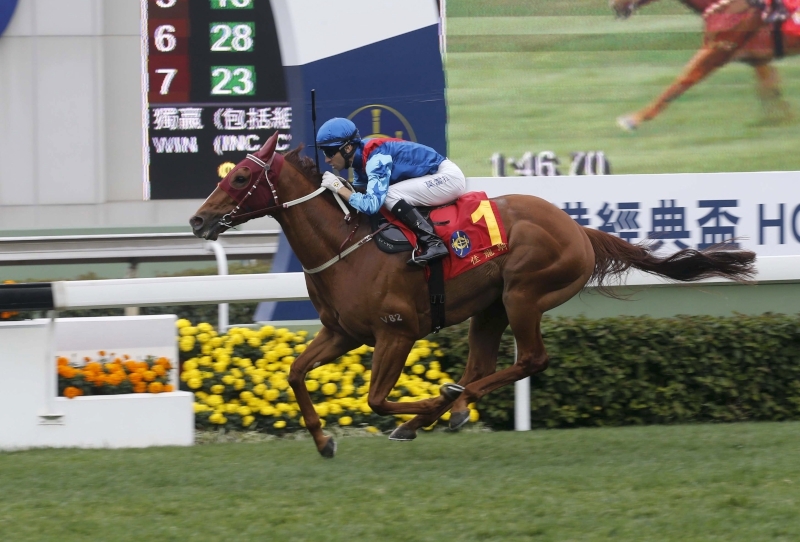 Gold Mount, the horse Tony Cruz describes as “a Mini Cooper with a Porsche engine inside”, will attempt a rare feat in this Sunday’s (19 March) HK$18 million BMW Hong Kong Derby (2000m). The Excellent Art four-year-old has had only one run for the trainer since importation, and the last horse to have triumphed in the blue riband off a single Hong Kong race was the Ivan Allan-trained Oriental Express in 1997. Before that, it was the Jerry Ng-trained Tea For Two II in 1987 when Cruz was the man in the saddle. 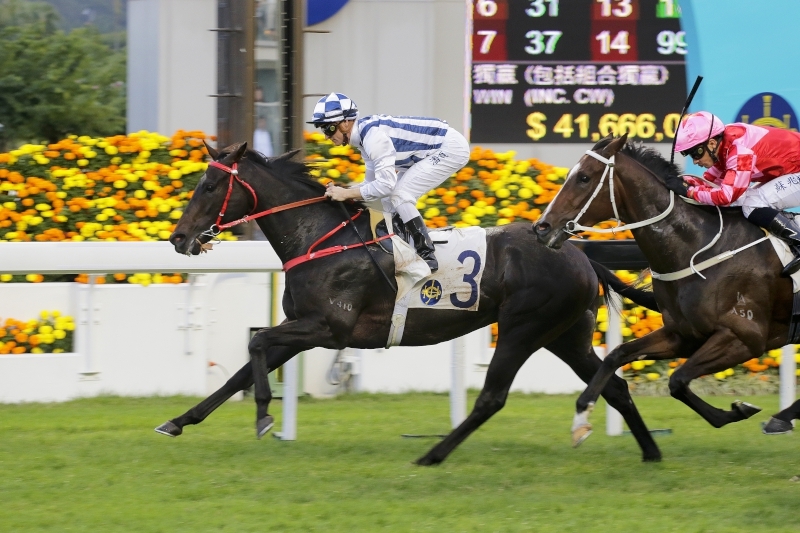 Tea For Two II was the second of Cruz’s four Derby winners as a jockey; with two (2004 Lucky Owners, 2008 Helene Mascot) more on the board as a trainer, he is the man with more Hong Kong Derby wins on his resume than any other. And the handler has fast taken a shine to Gold Mount, a horse that only arrived in his yard at the turn-of-the-year following a stable transfer from Richard Gibson. Gold Mount is better known in Britain as Primitivo, winner of last June’s King George V Handicap at Royal Ascot for trainer Alan King. That victory, the gelding’s fourth in succession, came at a mile and a half, so there are no stamina doubts ahead of this weekend’s 2000m trip. And while the Cruz stable standout Pakistan Star has hogged plenty of headlines and remains the yard’s number one contender, Gold Mount has shown enough for his trainer to consider him a serious protagonist. “He’s a definite chance, he’s a horse that will relish the step back up in distance; the mile and a quarter will be perfect for him, he’s that type of a horse,” Cruz said. 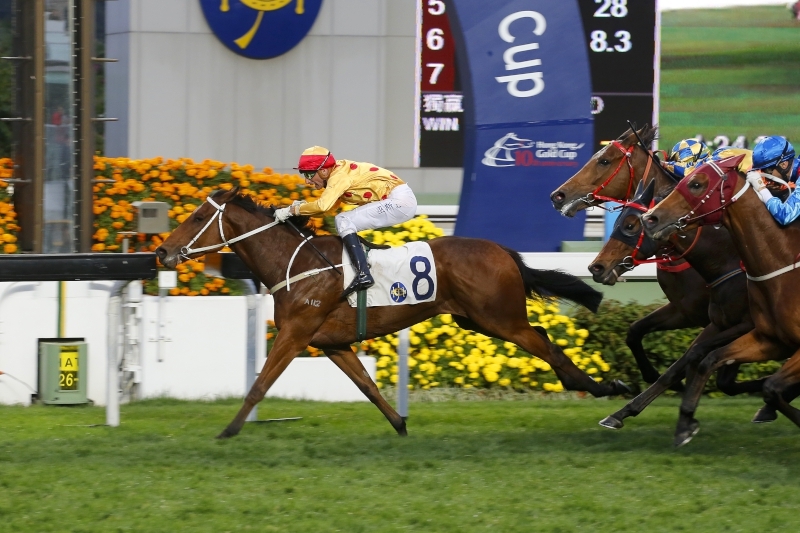 Gold Mount lands a Class 2 handicap in style on his Hong Kong debut last month. 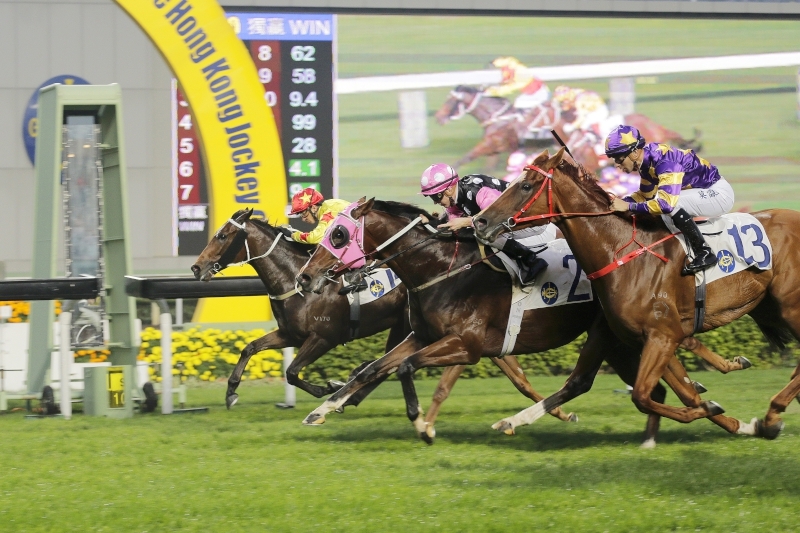 Gold Mount’s sole Hong Kong outing to date resulted in an impressive three-quarter-length win in a Class 2 handicap over a mile on 26 February. 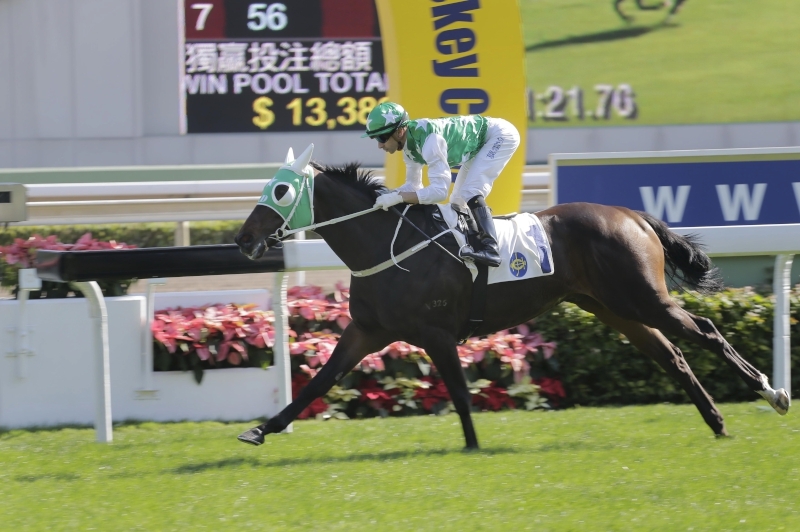 The small bay surged from deep, angling out and then darting back to the rail for an inside run under Derby partner Gerald Mosse that took him past runner-up and subsequent Hong Kong Macau Trophy winner Invincible Dragon. 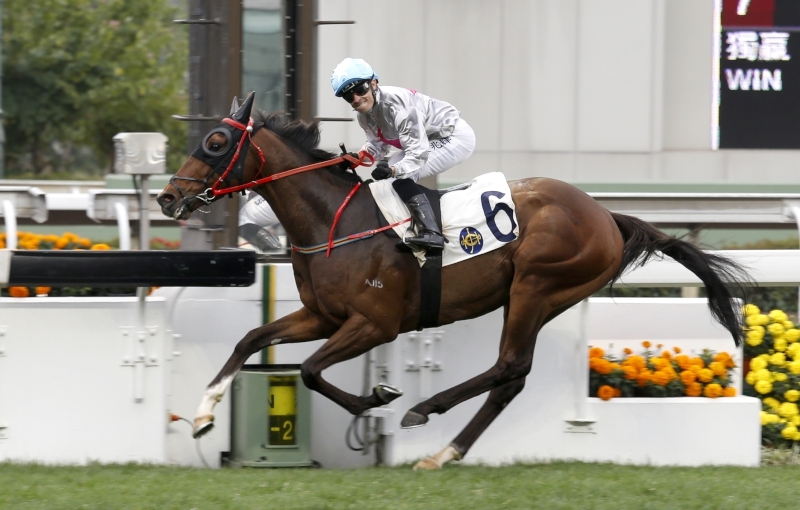 Circuit Hassler completes the Cruz yard’s team of three for this year’s Hong Kong Derby. 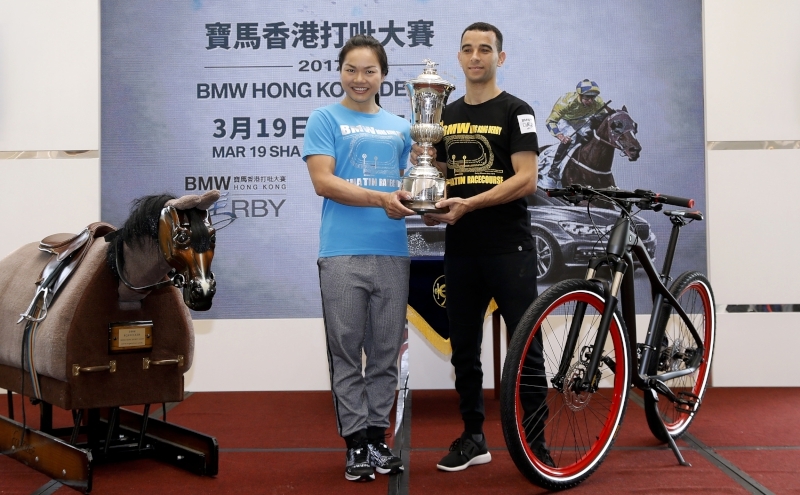 The BMW Hong Kong Derby features the John Moore-trained Rapper Dragon, winner of the first two legs of the Four-Year-Old Classic Series, the Hong Kong Classic Mile (1600m) and Hong Kong Classic Cup (1800m). No horse has won all three contests. Moore’s team of six also includes Booming Delight, Eagle Way, Helene Charisma, Beauty Generation and Rodrico. John Size will look to Dinozzo, Prawn Baba, My Darling, while the talented gallopers Limitless, from the Peter Ho stable, and Seasons Bloom, trained by Danny Shum, complete the line-up. The Hong Kong Jockey Club will present a live webcast tomorrow at approximately 11.25am (Thursday, 16 March), showing the 2017 BMW Hong Kong Derby Barrier Draw. The live cast will be available on the Club’s BMW Hong Kong Derby theme site.